This panel considers emergent practices against the backdrop of Black Mountain College’s legacy of highly skilled workmanship. The panel—organized and moderated by Jenni Sorkin, assistant professor, UC Santa Barbara—includes Wendy Kaplan, head of decorative arts, Los Angeles County Museum of Art; Helen Molesworth, chief curator, Museum of Contemporary Art, Los Angeles; Jenelle Porter, independent curator; and Andrew Perchuk, deputy director, Getty Research Institute. 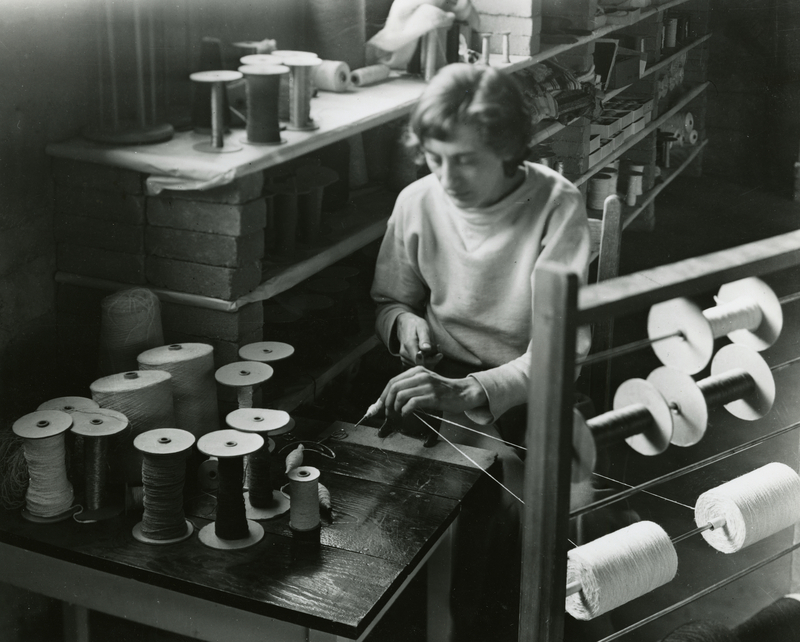 Anni Albers spooling thread, n.d.